warehousing pros. Last year’s conference posted over 700 attendees and this year, about 800 came looking for the latest action in data warehousing and business intelligence. organizational impacts that will come with the demand for data warehouses with high performance, big data, and low latency (real time or active data warehousing). Some companies are already there. Chuck Hoover on keys, Teddy Davis Jr. on bass, and Eran Cohen on drums. They sounded even better the second time around. Dave Wells, TDWI Director of Education, is constantly on the prowl for keynotes that will shake us up. Peter Fingar’s “The New IT: Lead, Follow, or Get Out of the Way” filled the bill nicely. business analysis to their skill sets. Fingar also pointed out that IT itself must change to meet the challenges of time-based competition vs. the cost-based competition of the past 50 years. Fingar’s admonitions drove home the point that conference goers should pay close attention to such sessions as “eXtreme Data Warehousing” that show us how data warehousing and BI are evolving. projects, and each of these elements takes a different mind set. As the day progressed they gave us tips on how to make our different perspectives work for us. The session was time well spent. deployed. I immediately thought of several organizations that could use an ICE to break the ice between IT and business. organizational infrastructure that an organization had outgrown to a more robust environment. Although it was a short session, it was worth the price of admission. improved management facilities. I later talked with a friend who is in the process of beta testing the new product. He backed up Baker’s assertions. SQL Server 2005 sounds exiting. implementing a data governance program. Although the vendor show at TDWI conferences always includes new offerings, I decided to spend some time studying products and technologies that had been around for at least a couple of years. technical architecture that real-time data warehousing requires. analyze a given business problem, and by the value of serendipitous discovery. technology is based on expert systems. 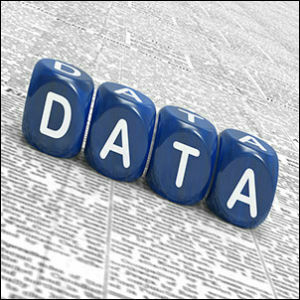 It monitors who accesses what data and it can be deployed to pre-emptively prevent runaway queries. More companies should be looking at this technology. Later on I went out to dinner with friends who were celebrating their impending marriage. We had a great time. The grouper was especially fine. reporting and analytic projects. The DIF did sound like a practical solution to the real problem of multiple versions of the truth. great mix of classes that reflect theory and practice. See you in Baltimore.